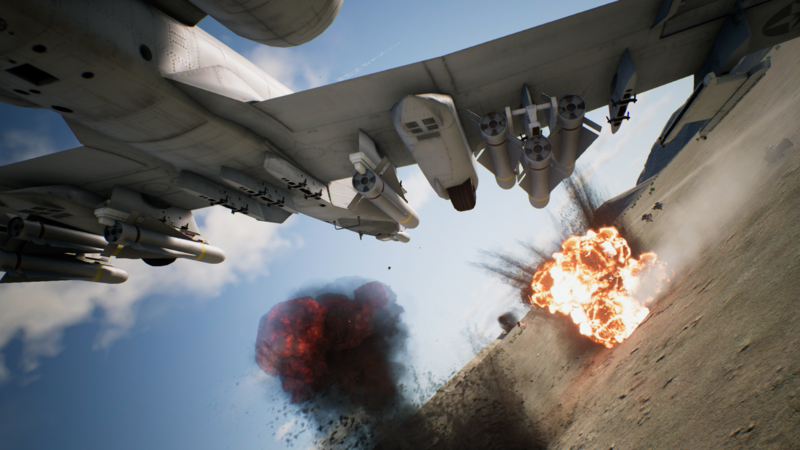 Last week, Bandai Namco Entertainment posted the official PC system requirements for Ace Combat 7. Now, NVIDIA shared an “exclusive” 4K gameplay footage from the PC version of Ace Combat 7, running on a GeForce GTX 1080Ti graphics card. NVIDIA also revealed the graphics settings and features of the PC version, while pointing out the best GPUs to play the game at various resolutions. These recommendations are backed-up by our own testing, which shows the GeForce GTX 1060 running at 100 FPS at max settings at 1920×1080, and even performing at 60 FPS at 2560×1440. For 4K, however, you’ll need a GeForce GTX 1080 Ti, RTX 2080 Ti, or RTX 2080 to get a rock-solid, 60 FPS+ experience. Settings are on max, with options for Anti-Aliasing, Bloom, Effects, Motion Blur, Post-Processing, Screen Space Reflections, and Shadows all cranked up. Additionally, there’s a built-in option for Resolution Scaling, enabling you to play at 4K quality on a 1920×1080 monitor; the option to uncap the framerate; and plenty of settings for Flight Systems, controllers, flight sticks, keyboard and mouse control, and key remapping. Ace Combat 7: Skies Unknown is due January 18th, 2019 on PlayStation 4 and Xbox One, while PC gamers will have to wait February 1st, 2019.